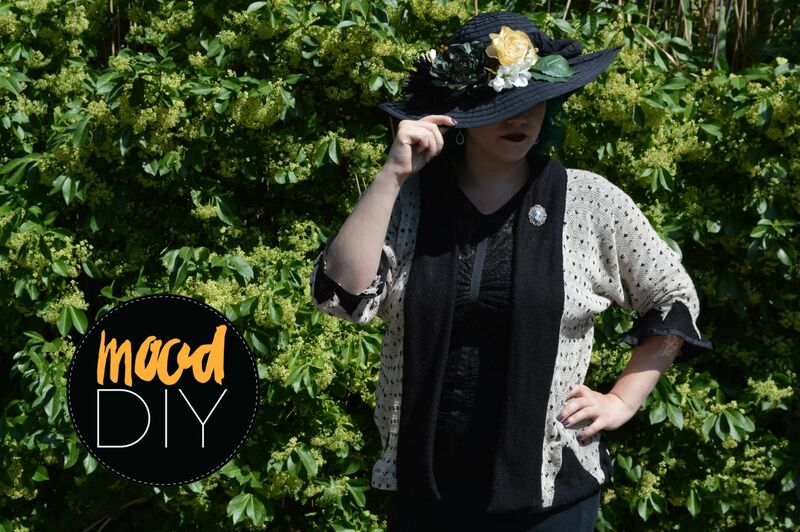 Today in Mood DIY, we’re making a super easy sweater knit cardigan. All the coziness of knitting with the speed of sewing! 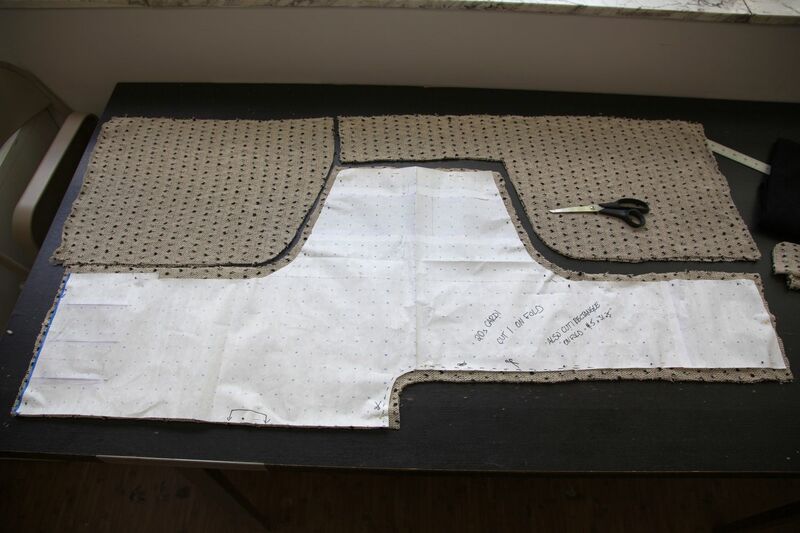 The body is formed with two seams and has a long band collar, so even the required sewing is minimal. 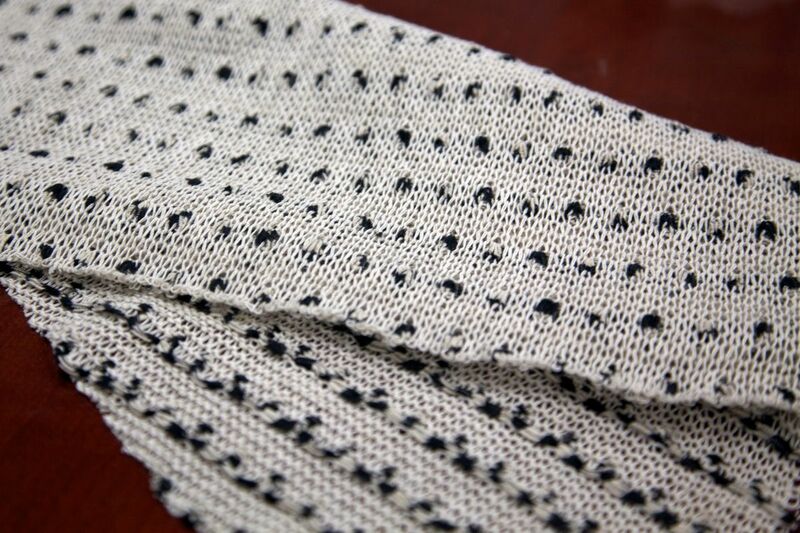 Contrary to popular belief, wool isn’t just for winter! Wool is natural insulation, and good insulation both keeps you warm and cool as needed. Whether it makes you hot all depends on the way the fabric is made. 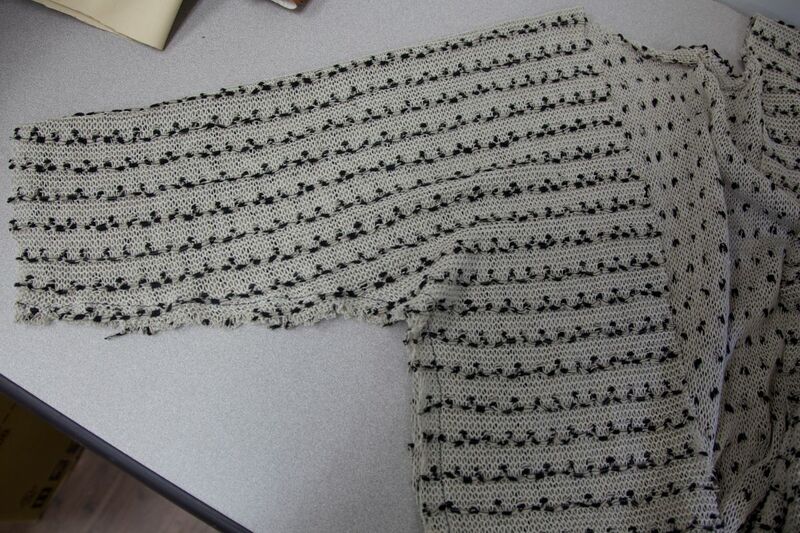 For this project, we’re using a wool-cotton blend sweater knit, with a wool/acrylic sweater knit contrast. 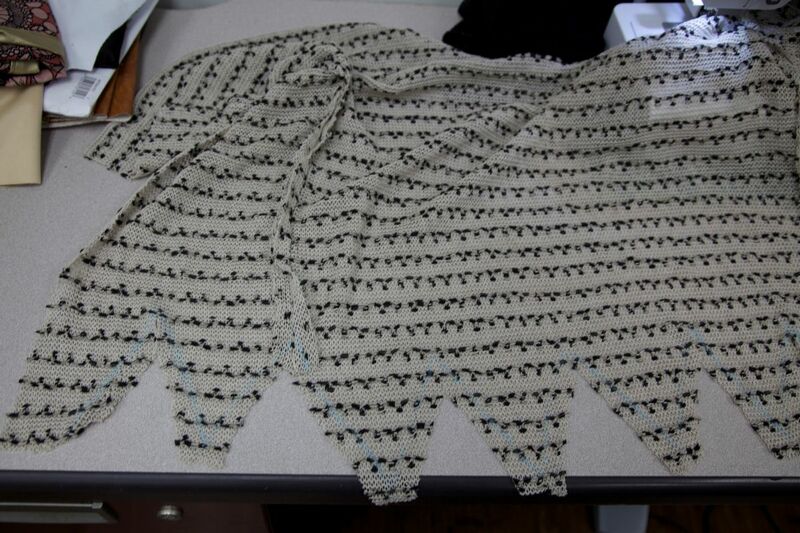 The main body is a very loosely knit fabric and the yarn itself is tight. (Yarn or fabric with a lot of loft—that is airier, puffier—is warmer, because the air pockets insulate. This is why down and nearly see-through mohair sweaters are so warm.) 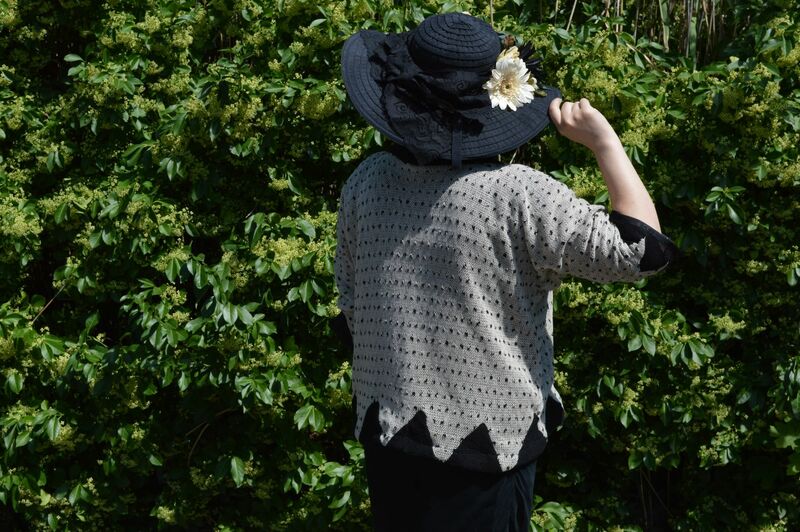 It’s perfect for warmer spring and fall days or cool summer nights. 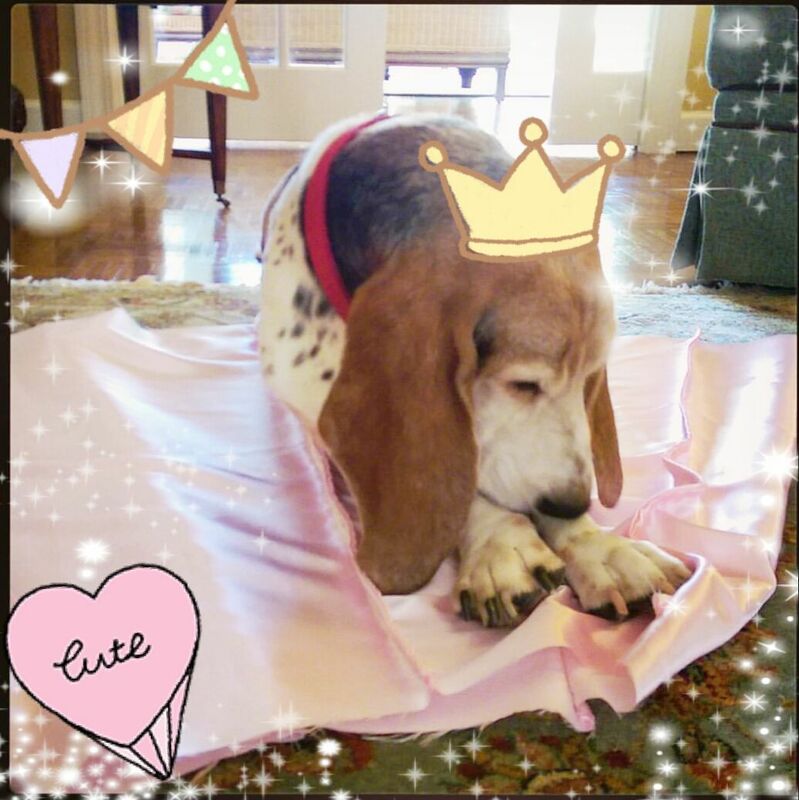 You can see that she is both regal and adorable, in this completely unretouched photo of her “helping” me with some sewing. -for shoulder to hip measurement, you’re measuring down your front on one side, over your bust. 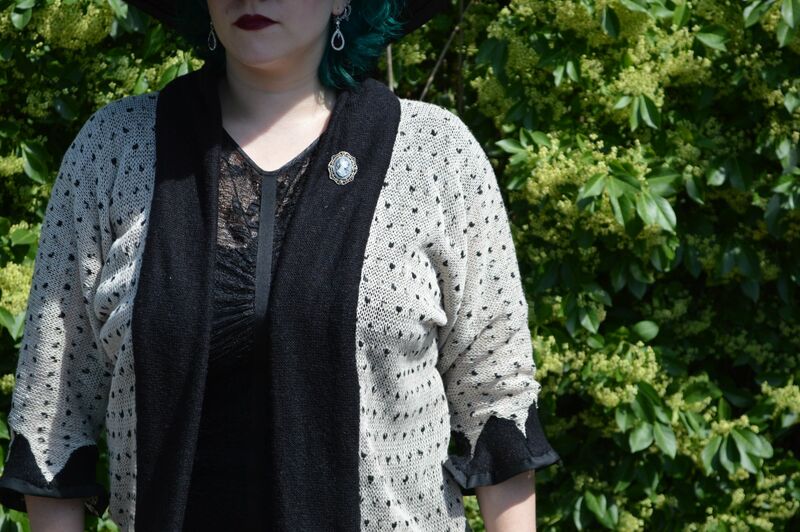 Measure to the length that you’d like your cardigan to be. For my own inserts, I made them slightly larger than the original size, so that there would be some flare. 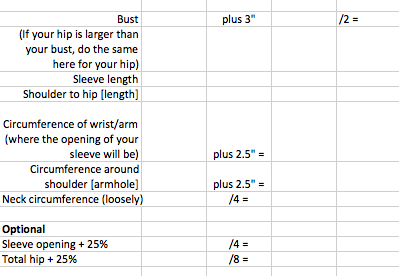 If you don’t want a flare, simply take the sleeve and hip measurements. If I didn’t want flare, I’d probably do the triangles as appliqués instead. This will be a lot easier to manage, if your fabric isn’t too thick. On the left side of your paper, draw a rectangle equal to your final bust measurement and your shoulder to hip measurement. 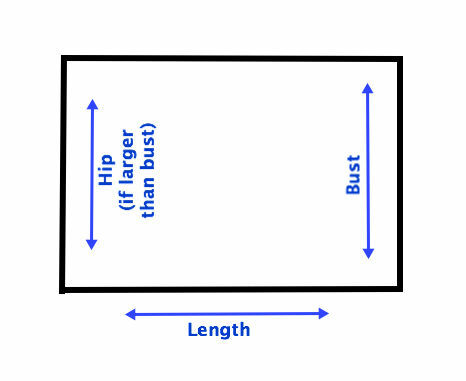 If you’re working with a larger hip measurement, just center it and you’ll have a trapezoid instead of a rectangle. Easy peasy. Make sure you draw that hip line on the EDGE of your paper, not the center, because we’re going to make this into a mirror image. Next, from the lower right corner, mark in about 1.5″ and up your 1/4 neck measurement. 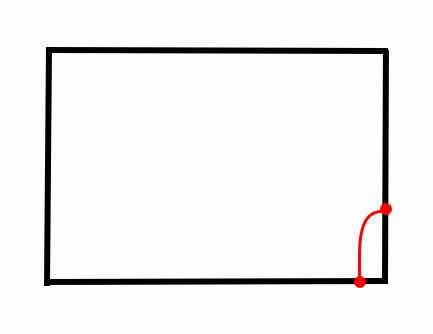 Draw a curve connecting them. This is your back neck opening. Next, take the edge on the neck side and extend it to your sleeve length. At the end of this line, draw half of your sleeve opening, to the left. 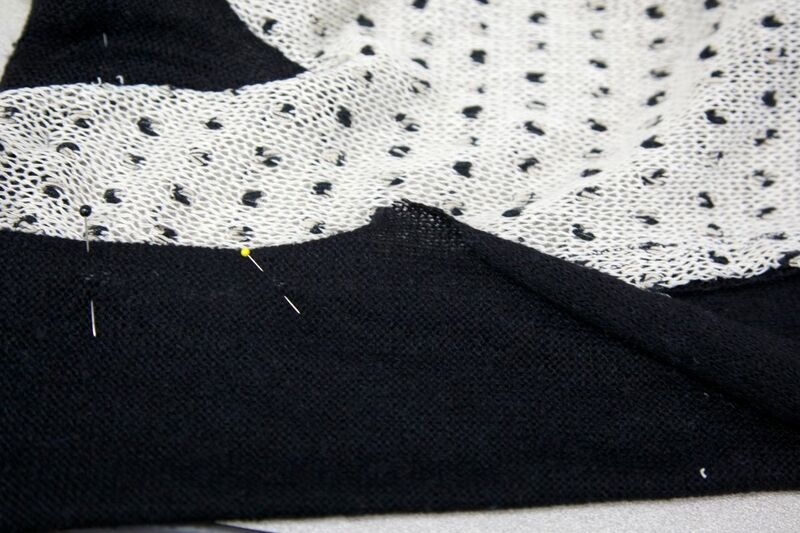 Going down the top long edge, from the neck side, mark half of your armhole measurement. Then connect the end of the sleeve opening line to the mark you just made. This is your sleeve. Congratulations. 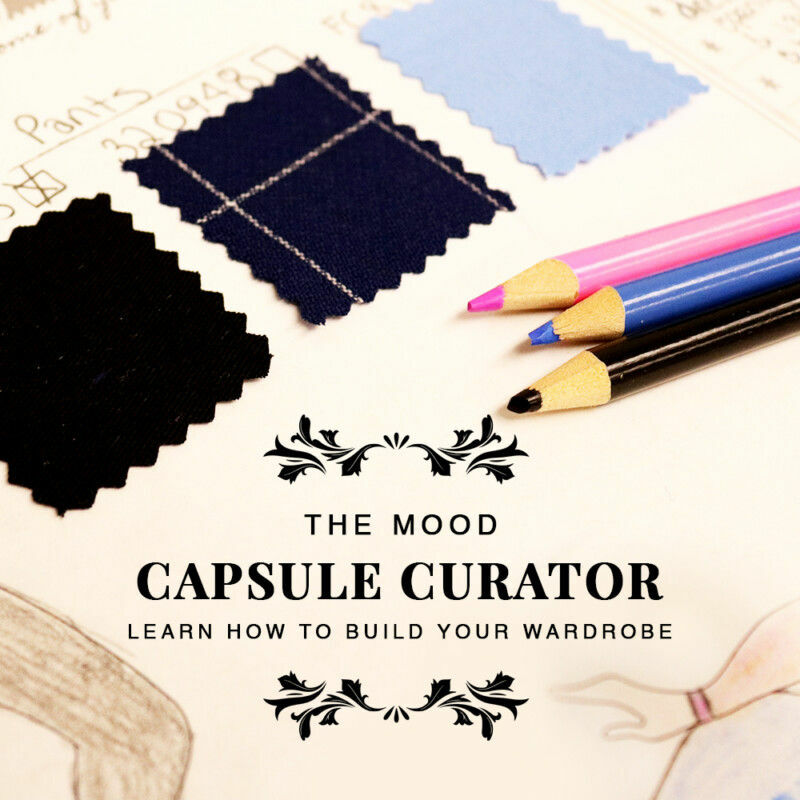 You just drafted the back of your sweater (more or less). To dolmanify this sucker, just draw a curve in the armpit area. I wanted a small wing, so I curved down to about the underbust. You can go all the way down to the waist and farther down the sleeve, if you want a big wing-a-ling. Now we’re going to turn it into a mirror image. 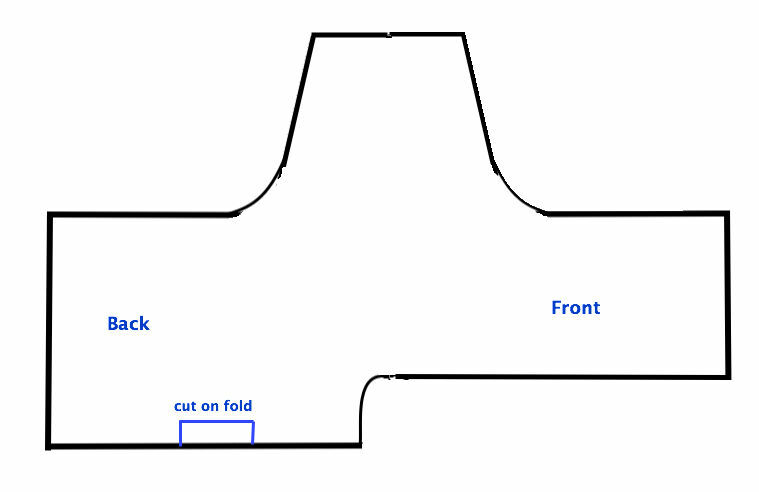 So you can either draw the other half, or fold your paper in half along the shoulder/neck edge and cut it out. The front is almost the same as the back; we’re just going to cut out the front opening, to make room for the collar band. So, once you’ve done the mirrored half, continue the neck opening straight down the front, and cut out that part of the paper. There’s your finished pattern! Cut it out with a half inch margin, for seam allowance. Your last task is to draw your inserts, if you’re doing them. I recommend drawing and cutting the paper without seam allowance. You know those two optional measurements on the sheet? The division of the sleeve opening is the base of your triangle for the wrist. The division of the hip is the base of your triangles along the hip. 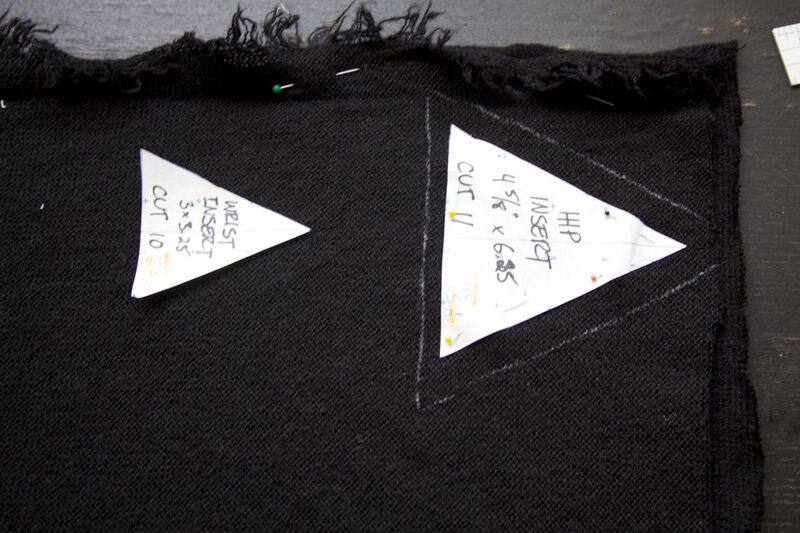 I’ll call these numbers S and H. My triangles were 3.25″ and 6.25″ high respectively. So draw one triangle thats S x 3.25″ and another that’s H x 6.25″. Cutting is simple. The center back edge goes on the fold of your fabric. Cut around the other edges. For your collar band, measure along the front opening (front hem to center back of neck). Add 1″. 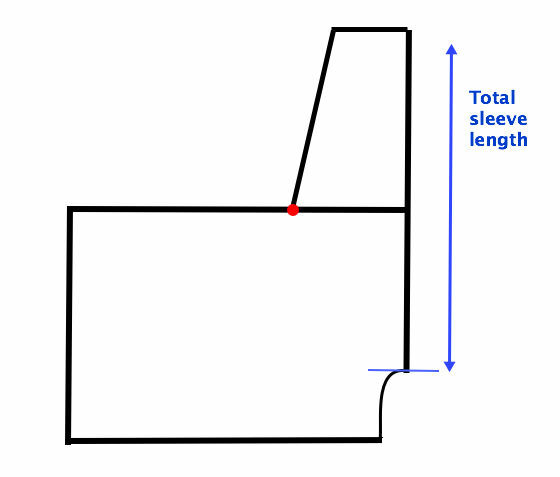 On the fold, cut out a rectangle that’s 4″ wide and that measurement long. Cut another. Voila, collar patterned and cut. You should have two rectangles that are 8″ wide (when opened) by whatever length. Ignore the notes on my pattern pieces. I had a change of plan after writing those. Start by doing a stay stitch along the entire front edge. You don’t want it to stretch. You’ll note that I didn’t follow my advice and I did my insertion cutouts AFTER I sewed the side seams. It isn’t impossible to do the inserts in that order, but you’ll find it easier to do the inserts first. Remember that one of your inserts will be in the seam opening itself. It’s a good idea to stay stitch all of those edges. I didn’t, and I regret it. They stretch very easily. 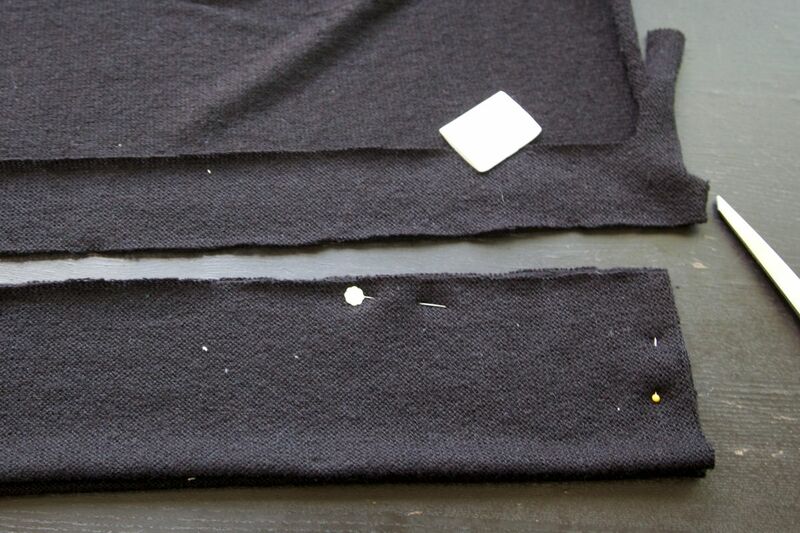 To sew the inserts, place the right sides together, sew one side, then flip, pin the other side, and sew separately. 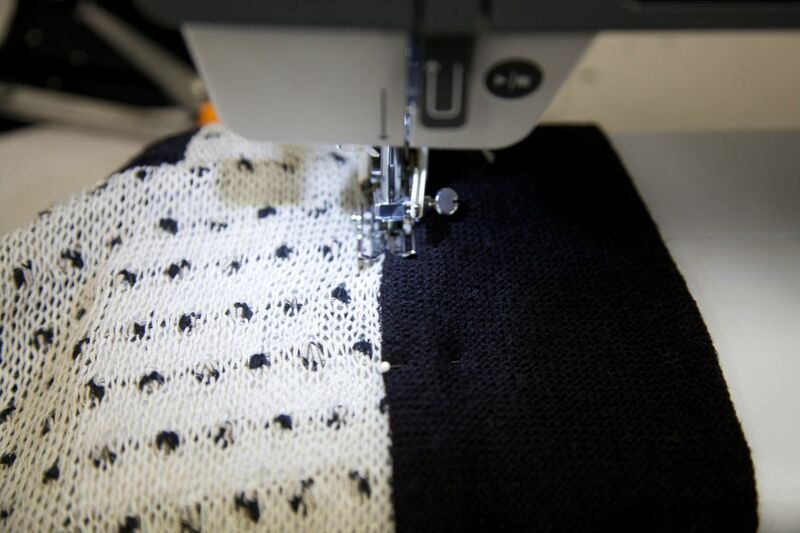 You can do this on machine, but this is a great place for hand sewing. 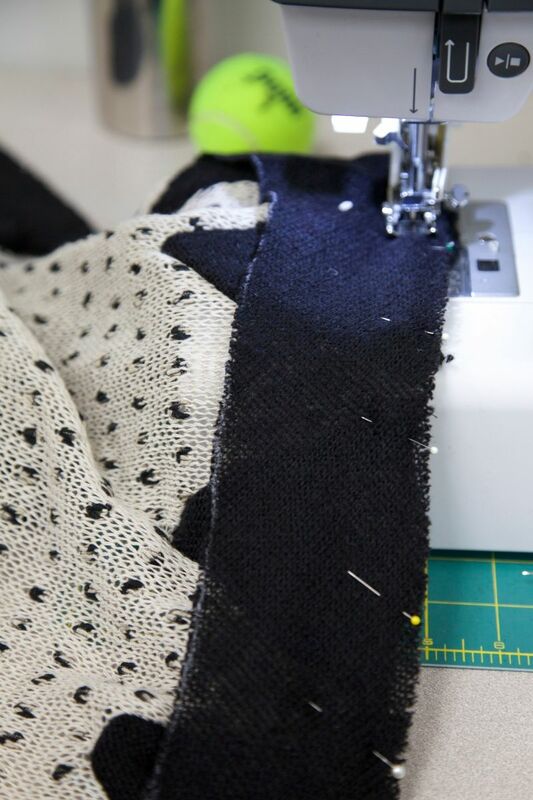 It honestly doesn’t take much longer than the machine sewing, and you’ll get neater results with less frustration, because you’re controlling each individual stitch. 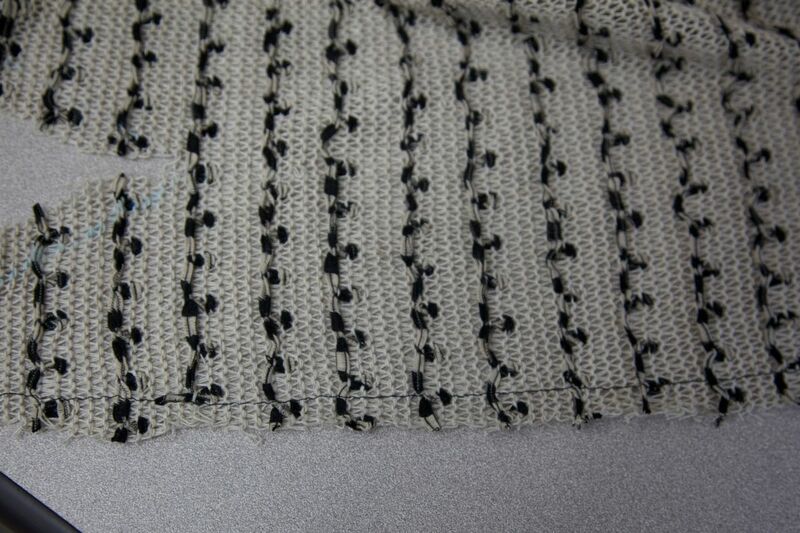 When finished, you’ll see that your seam allowance is pointing out below the hem, so you can trim those off. 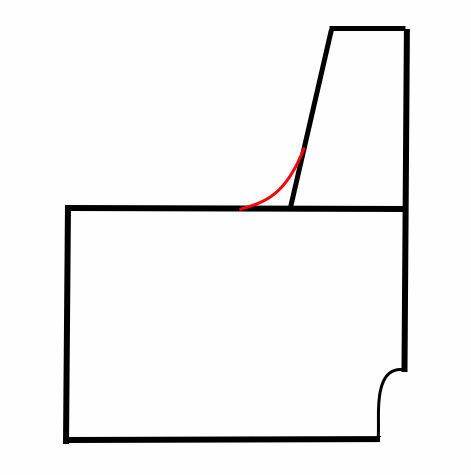 Trimming away the top point of the triangle, in the seam, may also help your insertions lay flatter. Finish with a good pressing with steam. Next we’ll sew up the sides. Right sides together, sew sleeve opening to hem. With that done, we’ll move on to hems. You can bind the edge, just as with seams, using bias tape, petersham ribbon, or bias strips cut from fabric—or you can create a facing. I took a combined approach. I did bias tape on the sleeve openings, and did a facing on the bottom hem. The primary difference is that bias tape is visible from the outside, and a facing is not. I created the facing by cutting a bias strip out of my leftover contrast material. It’s 3″ wide and the same length as the bottom hem. Sewing the facing is basically the same as sewing the collar, so whether you’re doing a facing or not, these instructions might be useful. Place the right sides together. Sew. Finish your sleeve openings. Next, we’ll sew the collar band and we’re done! You have two rectangles for the collar band. Sew them together at one short end, to make a long rectangle. 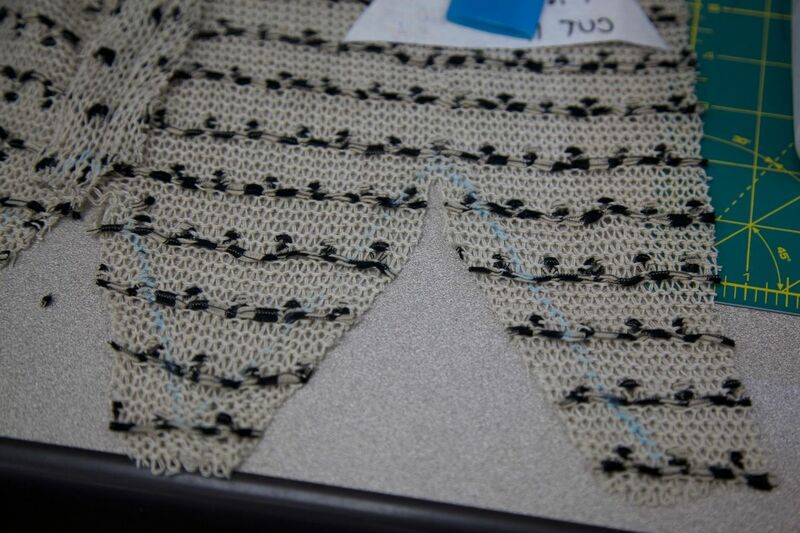 Then sew that long rectangle onto your cardigan body, just as we did with the facing. Your bottom half inch of seam allowance should be hanging off, below the hems. Open the seam and fold the other half back. Unlike the facing, we aren’t folding along the seam itself. 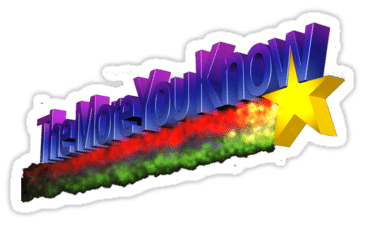 You’re folding the collar band in half, and you’re folding so that the right side is on the inside, and your seam allowances are also turned. (See the blue line in the picture below if you’re having trouble visualizing how this is folded.) We’re going to sew the short end of the rectangle shut. 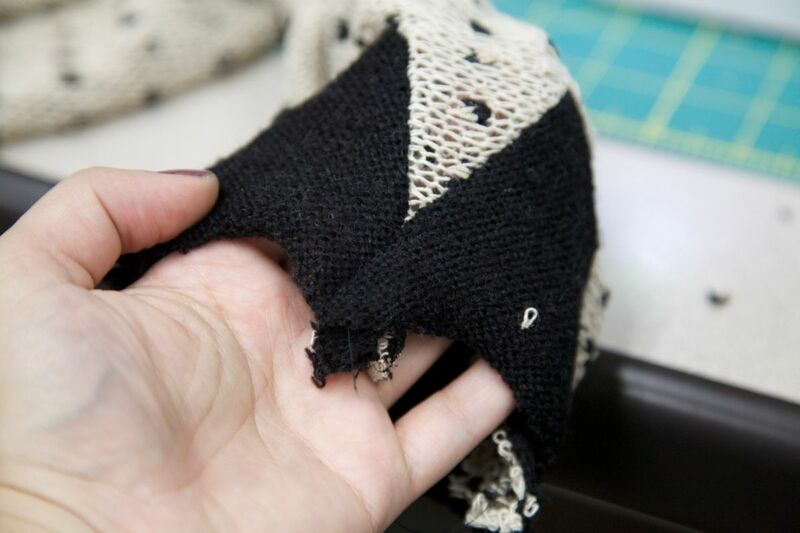 If somehow you wound up with a seam allowance that was larger or smaller than 1/2″, just remember that we’re sewing in line with the bottom edge of the sweater. Once you’ve sewn both ends, turn the collar right side out. Continue pinning down the remaining seam allowance. 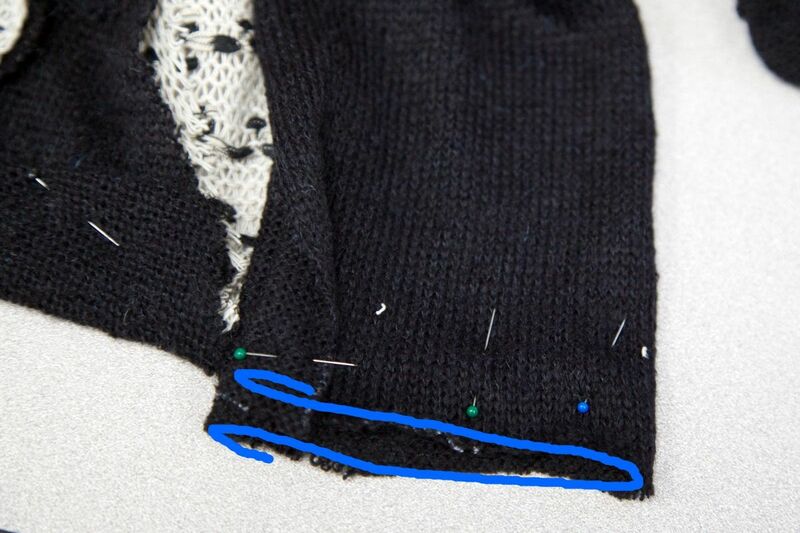 You want to position the fold of your seam allowance on top of the stitching where you attached the collar. As with the facing, you can machine or hand sew this. I edgestitched mine with the machine. 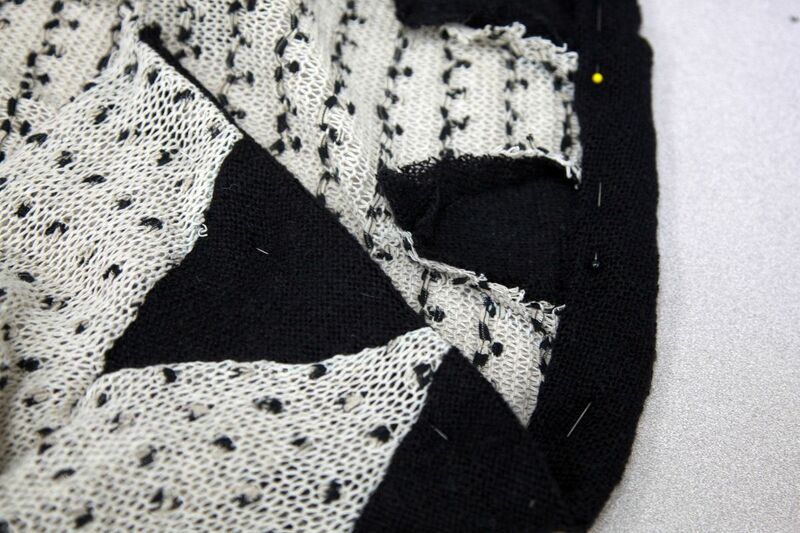 If you’d like, you can topstitch the inner edge of the collar. I didn’t topstitch mine, to leave a softer edge. Topstitching will the hold a flat and crisp edge, so it’s nice with something like shirting, but a bit contrary with a soft sweater material.